In Rhino, the PictureFrame image does not display. It shows up white or blank without the image or texture displaying. Confirm that your Windows display drivers are the latest available from your video card manufacture. 2. Confirm that the hardware acceleration is on. The Windows acceleration slider should be set to the right or at least most of the way to the right. This is under Display Properties Settings → Advanced → Trouble Shooting tab. 3. Confirm Accelerated Hardware Mode is on in Rhino. 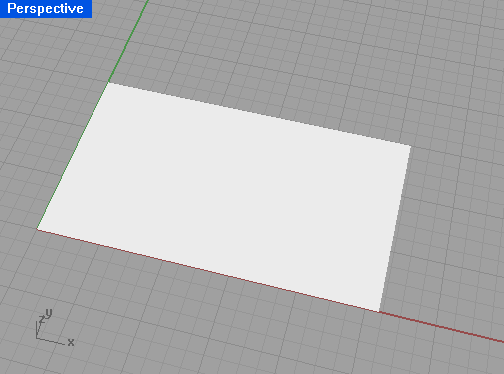 In Rhino 5, this setting will be in Options>Rhino Options>View>OpenGL. 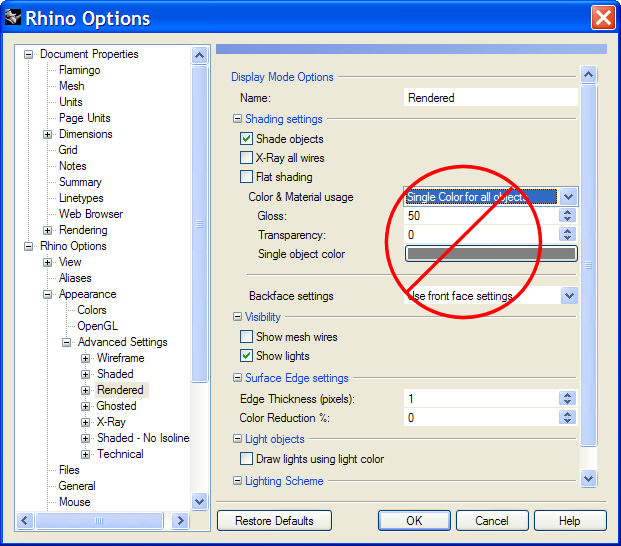 If you are using Rhino 4, go to Options> Appearance>OpenGL. 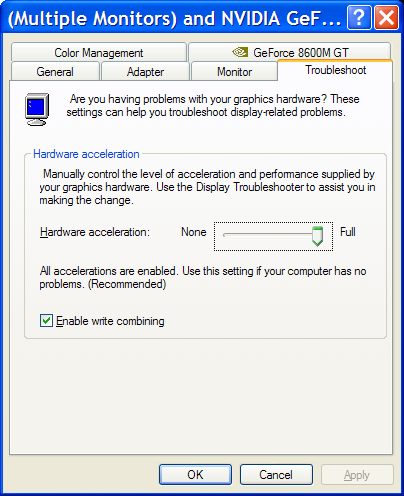 From the right pane, confirm that the Use accelerated hardware modes is checked. Also confirm that the manufacturer's display driver is being used, not the Windows basic GDI. 4. Return Render Advanced Display Modes to Default Settings. There is a recent trend to modify this Render display set. Changing options in the Render display mode can leave the PictureFrame command not working properly. When in doubt, “restore defaults” to return the Render display mode to default values. 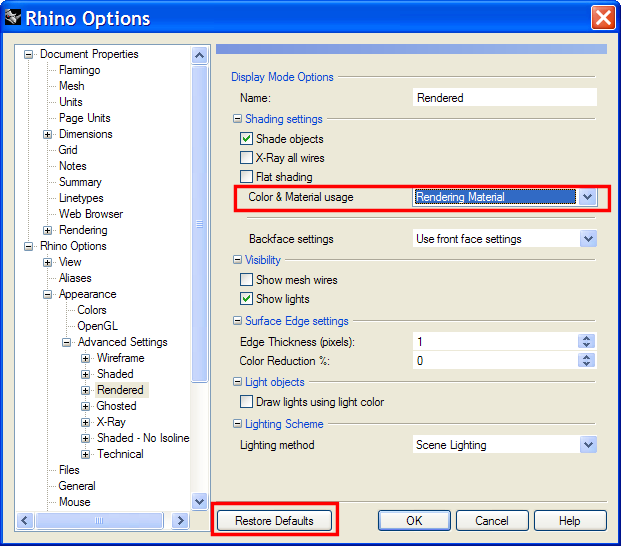 Specifically, setting Color & Materials usage to Single Color for all objects will leave the PictureFrame previewing blank on the Rhino screen. 5. Looking at the image itself. Sometimes that image itself can be the problem. Try a different, smaller image and see if it works. We have had trouble with large high resolution images. Or images that are not standard RGB color format. For instance Black and white JPGs or TIFFs that are set to CMYK color.